CONTACT HEIDI PADGETT1721@COMCAST.NET WITH ANY QUESTIONS. 2009 brought a new, explosive volleyball club to girls in Northern Virginia - Northern Virginia Premier Volleyball Club - designed to develop and expand the technical aspects of the game. During the years 2009-2017 NV Premier has expanded and contracted the number of teams based on the demand of our athletes and the availability of practice space and coaches; the growth of teams over the last few years has allowed NV Premier to become laser focused on our goals and mission with concentration on fewer teams. To provide an opportunity for the Region's Top female players to excel against their opponents while providing premium exposure to national College Recruiters. Our 2018 season highlights 2 Open level competitive teams at the 16s and 17s age groups. The start of the season has produced gold bracket finishes in both tournaments and we have only just begun. Congrats to the 17s for taking 3rd Place at the 2018 Music City Volleyball Championship with a tournament record of 5-1. 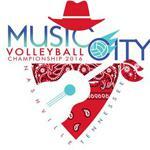 Good luck to our 16s and 17s teams as they head to Nashville to participate in the Music City Volleyball Championship tournament this weekend, February 4th and 5th. ©2019 Northern Virginia Premier Volleyball Club / SportsEngine. All Rights Reserved.